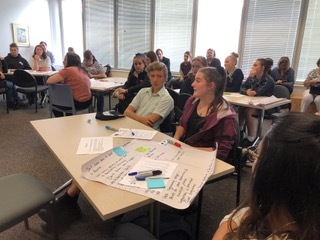 The Tuggeranong Community Council (TCC) believes it is beneficial for schools and students to engage with the community as a pathway to enrich student education. The community can provide support to schools and students to ensure their ideas are heard and considered when new policies and programs are developed. To facilitate these aims, the TCC have over the last two years run an annual TCC Youth Engagement Forum, with ideas and suggestions being passed on to schools, relevant departments and institutions. All opinions will be collated into a document which will be sent to all schools. Main issues will be identified and the TCC will look to follow-up on them and inform relevant government departments and institutions.